It wasn’t so long ago that Yiannopolous was a star columnist for Breitbart. For a brief, glittering moment, Yiannopolous managed to parlay this position into many appearances on a number of reputable(ish) outlets, before falling victim to a series of increasingly mortifying self-induced public fiascos. 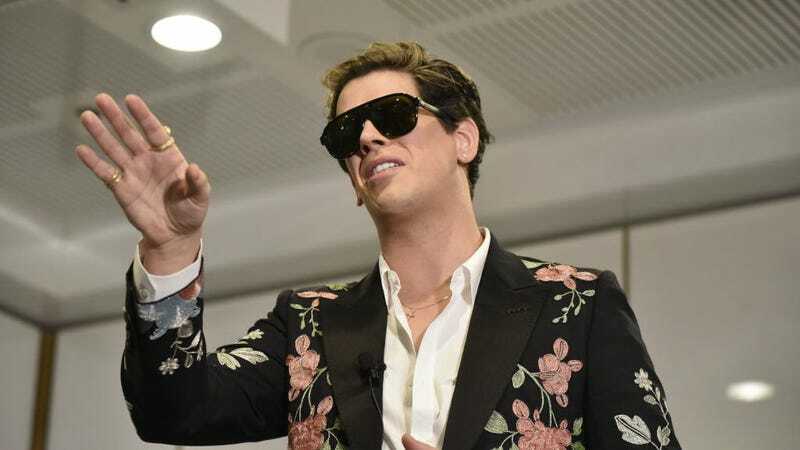 Today, Yiannopolous has resurfaced and, as noticed by writer Ross McCafferty, his latest humiliation finds him at an outlet and with a job much more suited to his non-talents: hawking snake-oil health supplements at InfoWars. How low can Milo go?